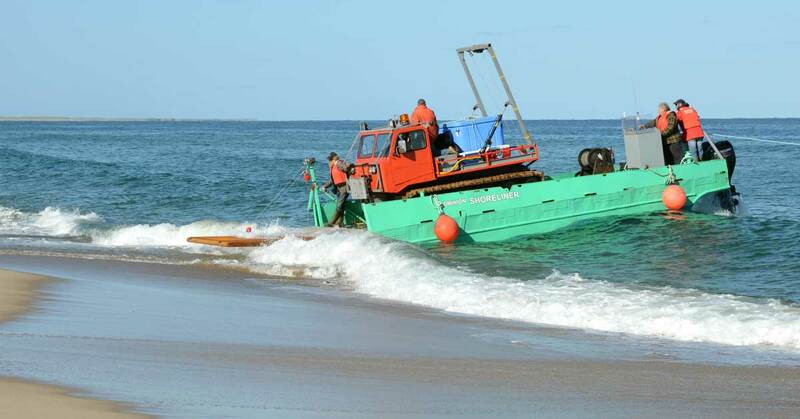 The Canadian Coast Guard (a Special Operating Agency of the Department of Fisheries and Oceans Canada) has provided the annual sealift for Sable Island for over five decades. However, in 2010, CCG announced that it would no longer provide ship support for the island, and the last Coast Guard sealift was in autumn 2011. 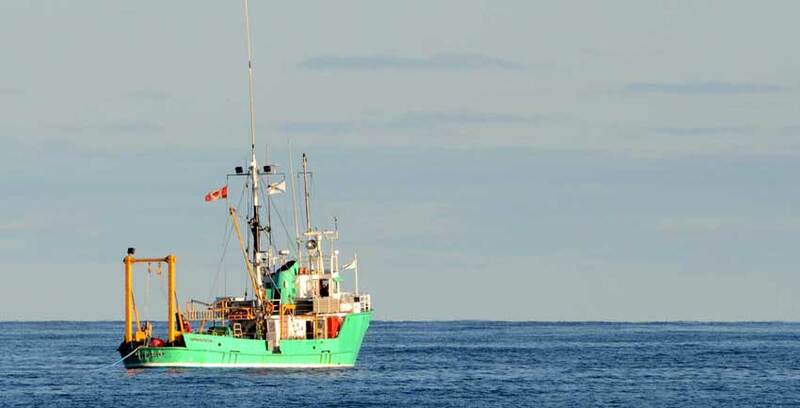 The CCGS Sir William Alexander made two trips to Sable in 2011. In June, a delivery of fuel was prolonged by foggy weather that interfered with helicopter operations, and in October, bulk cargo (such as lumber) was delivered, but before the backload (removal of waste materials, empty drums, etc) began, the helicopter had mechanical problems, and the ship departed. With CCG no longer providing ship support for the island, the various Sable operators are investigating alternatives. This year (2012), Dominion Diving, based in Dartmouth, Nova Scotia, was contracted by Fisheries and Oceans Canada in support of the DFO-Dalhousie Grey Seal research program on the island. The barge Dominion Mercury, and the landing craft Dominion Shoreliner (the smaller green vessel nearby). The Mercury is 27 m long and 9 m wide, with a draft of 0.9 m, and a deck payload capacity of 350 tons. The barge does not have self-propulsion (while underway, the tow line between barge and the Victory is generally 240 m to 300 m long). 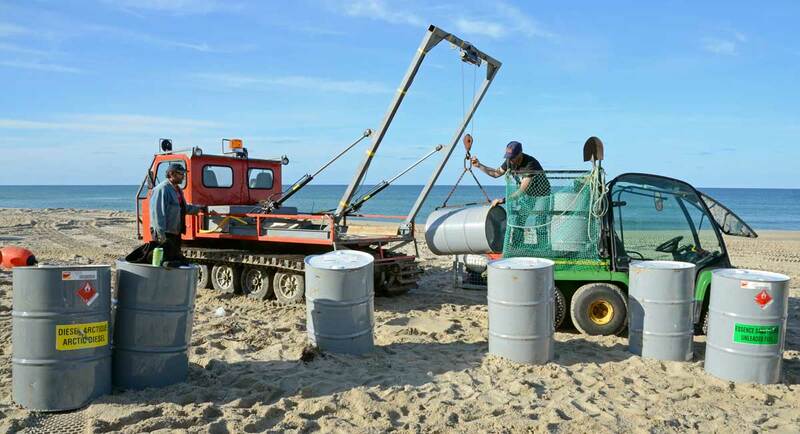 The Shoreliner was used to transport cargo to the beach. 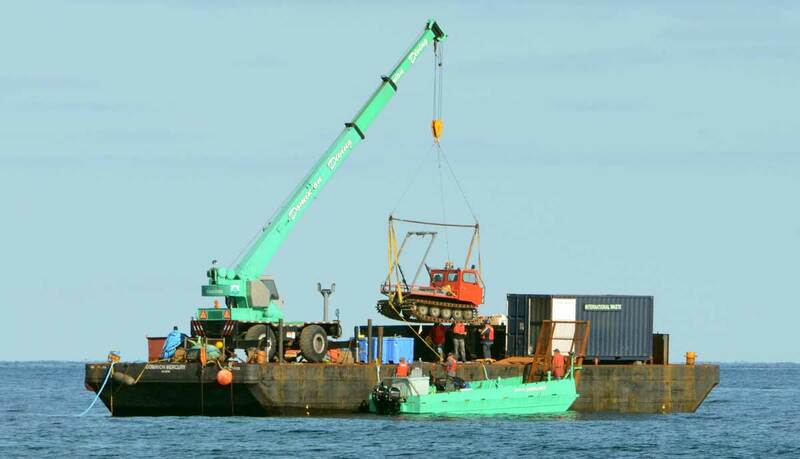 To move the cargo and equipment from barge to the landing craft, a crane had been welded to the deck of the barge. The cargo was primarily equipment and supplies for DFO (including a new tractor and a new all-terrain-vehicle, two new generators, propane, gasoline, and diesel fuel), with some supplies (gasoline and compressed gases) for the Sable station (i.e., the Meteorological Service of Canada). Work started early on the morning of the 18th. 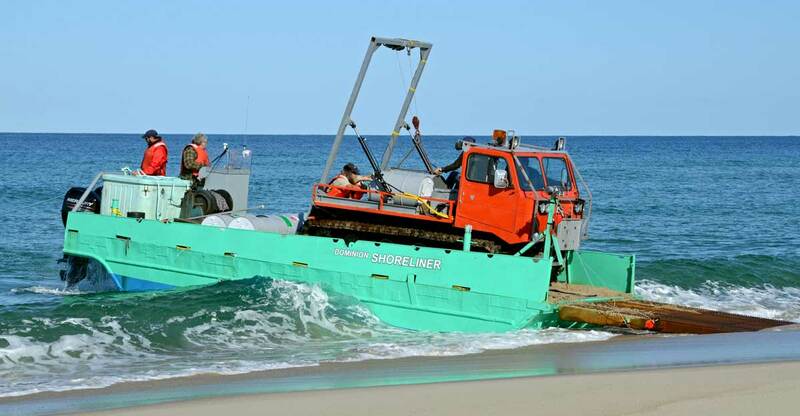 The Shoreliner began by delivering the DFO vehicles, first the ATV and then the tractor. En route from the barge, the ramp on the front of the landing craft is in its raised position. 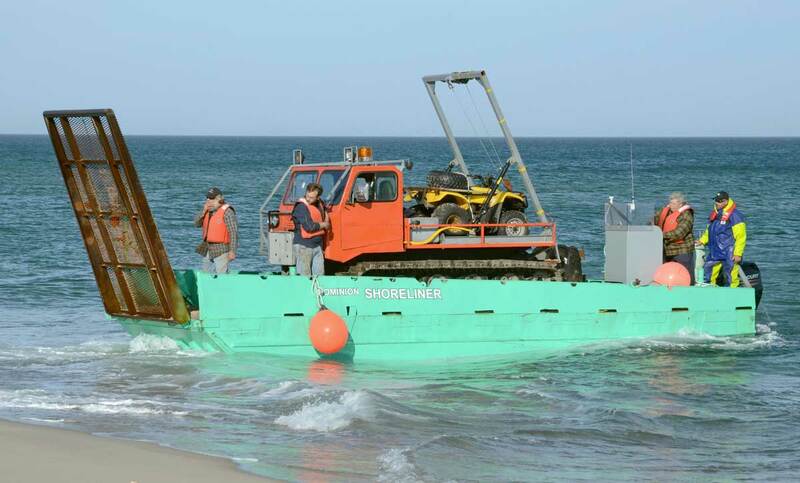 Before reaching the beach, the Shoreliner crew placed an anchor just beyond the surf zone. The anchor secured a rope that was played out from the stern as the landing craft moved toward the beach. In the event that the Shoreliner grounded, the rope could be used to pull it back off the shore. As the craft approached the beach, the ramp was lowered. The first landings were made with a rising tide (high tide was at 10:30 am). 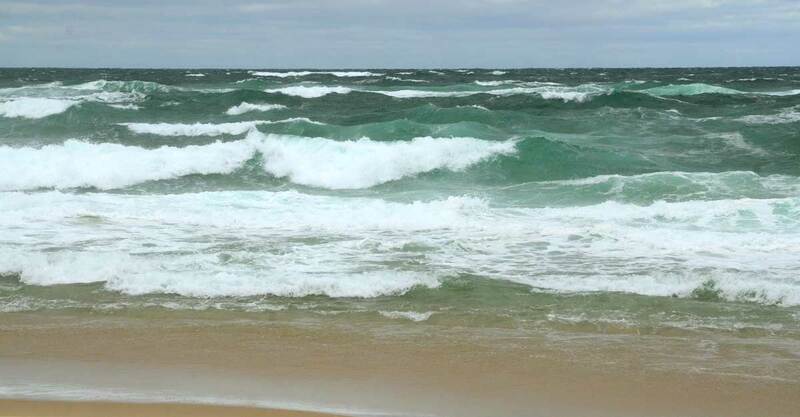 The sea was relatively calm for Sable, but a swell made for somewhat challenging conditions. The ATV and tractor were driven off the Shoreliner by DFO personnel—down the ramp and onto the beach. Barely a splash. Drivers didn’t get wet, and vehicles didn’t get stuck. The Shoreliner returned to the barge to begin moving supplies. Had Coast Guard being doing the sealift, all cargo (except the tractor) would have been slung to Sable by CCG helicopter. While Dominion’s landing craft was vulnerable to sea state and surf conditions at the beach, CCG’s helicopters were often hampered by fog and poor visibility. At the barge, the tracked vehicle (a snow machine) was lifted onto the landing craft. The tracked vehicle was used to carry the loads off the landing craft and up onto the dry beach. 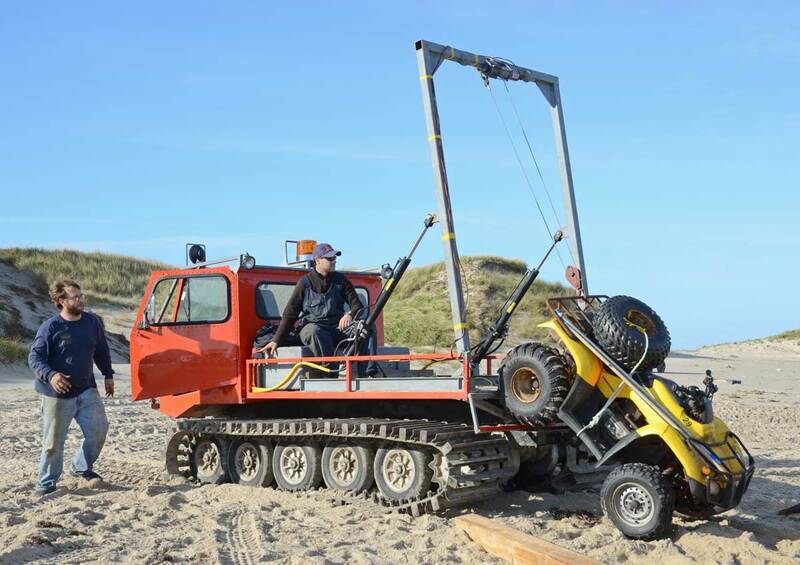 The vehicle is equipped with a hoist which assisted with loading and unloading both on the deck of the Shoreliner and on the beach. For the rest of the day, cargo was moved from barge to beach. The landing craft was loaded with cargo from the barge, and when it reached the beach, the tracked vehicle backed up onto the craft’s ramp and the cargo was transferred. To bystanders, this procedure—the backing up onto the ramp of a small craft under the influence of surf—looked particularly tricky. 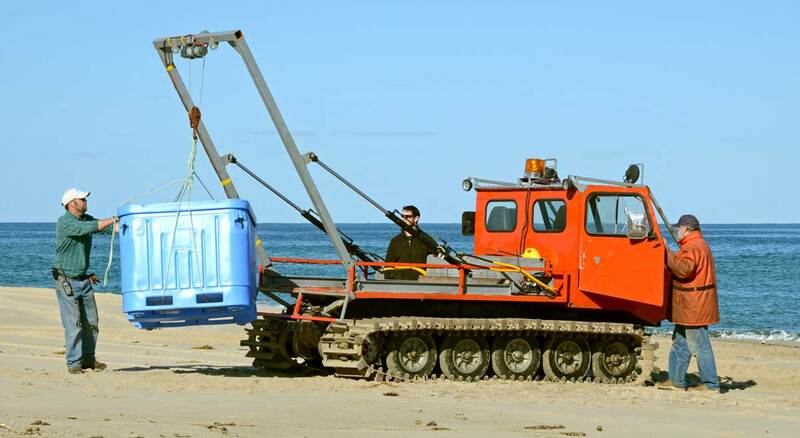 However, driver Pete Spencer and the operators of the Shoreliner quickly adapted to the wave action and the challenge of maneuvering on the wet sandy swash zone of the beach. 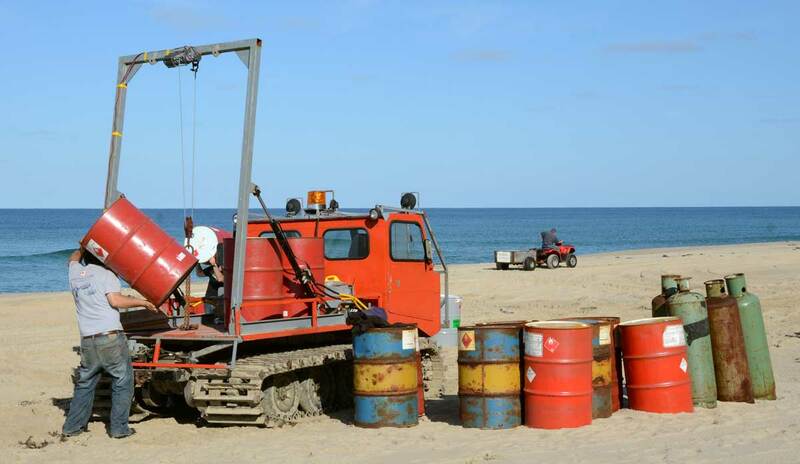 The tracked vehicle’s hoist assisted with loading heavy cargo onto the island vehicles, and DFO and MSC personnel moved the materials to West Light and to the Sable Island Station, respectively. While the DFO people used ATVs and their new Kubota tractor, MSC staff used two John Deere Gators to transport cylinders and 45 gallon drums. A family band of horses, sauntering eastward along the beach, passed between the water and the staging area without stopping to observe either the activity or the two-legged observers observing the activity. Once most equipment and cargo had been landed, the Shoreliner began moving the backload (mostly empty drums and cylinders, and scrap materials) to the barge. But first to go was the DFO’s old (and beloved) Massey Ferguson tractor. Empty drums followed the old tractor. By late morning on the 20th, weather conditions were deteriorating, and the captain decided they would have to depart Sable once all the backload already on the beach had been taken off. Thus some of the backload was left behind at the DFO compound and at the Station. 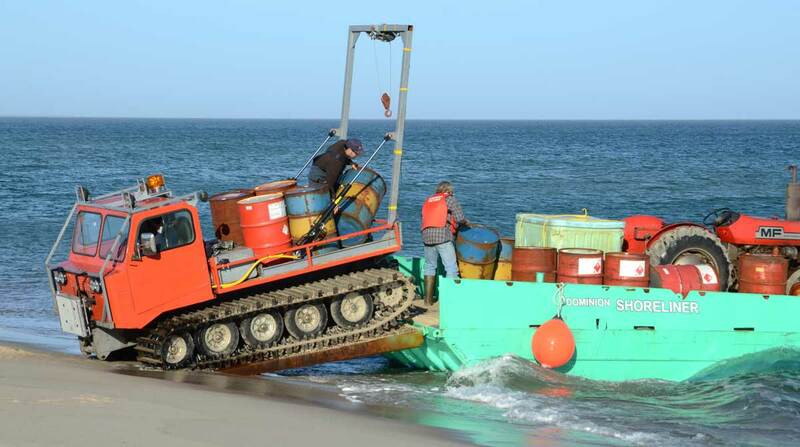 The tracked vehicle picked up the last backload item on the beach, a seized-up DFO ATV, drove onto the Shoreliner, and all headed out to the barge. It took a few hours for the Dominion crew to secure equipment and materials, and by early afternoon the Victory and the Mercury were on their way back to Country Harbour. From there they would head along the coast back to their Dartmouth base. The service provided by Dominion Diving demonstrated expertise required for Sable’s often challenging conditions. 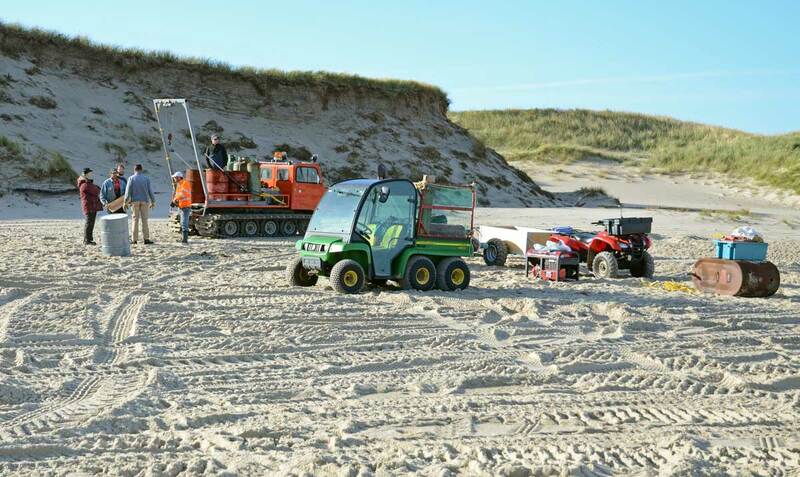 The conduct and outcome of the operation provide the various groups involved on Sable Island—Parks Canada, MSC, DFO, and research organizations—with an understanding of how they might proceed given Coast Guard’s withdrawal of ship support. 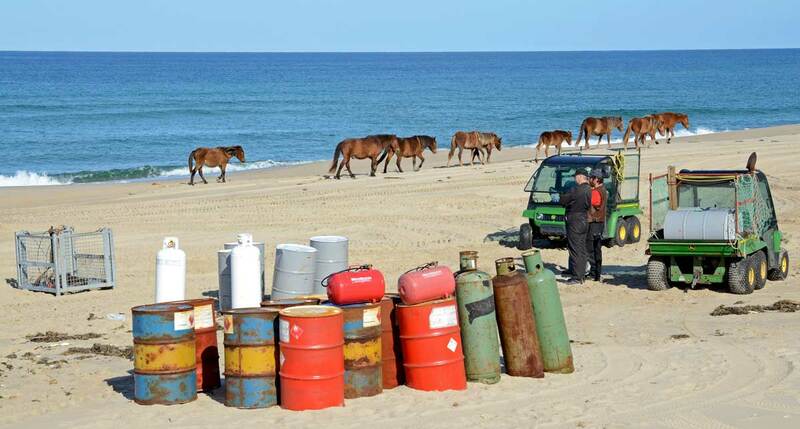 Another aspect of the ‘new era’ beginning for Sable Island. A few days after the Dominion Diving sealift was completed, the relatively calm sea gave way to the turbulence—high wind and rough water—more typical of October.